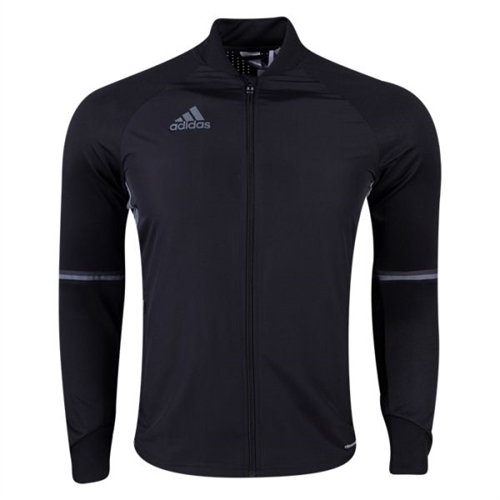 adidas Condivo 16 Youth Training Jacket entilated climacool® keeps you cool and dry Zip pockets. Full zip with stand-up collar; Ribbed collar and cuffs. Binding detail on pre-shaped elbows; Large vertical stripes detail on back. adidas Condivo 16 Youth Training Jacket features climacool technology that helps you keep warm and staying dry. When you're out warming up or training our jacket will keep you warm. The jacket can be customize with name and number that will be featured under the adidas logo.